Farmall tractor fuel pump kit. 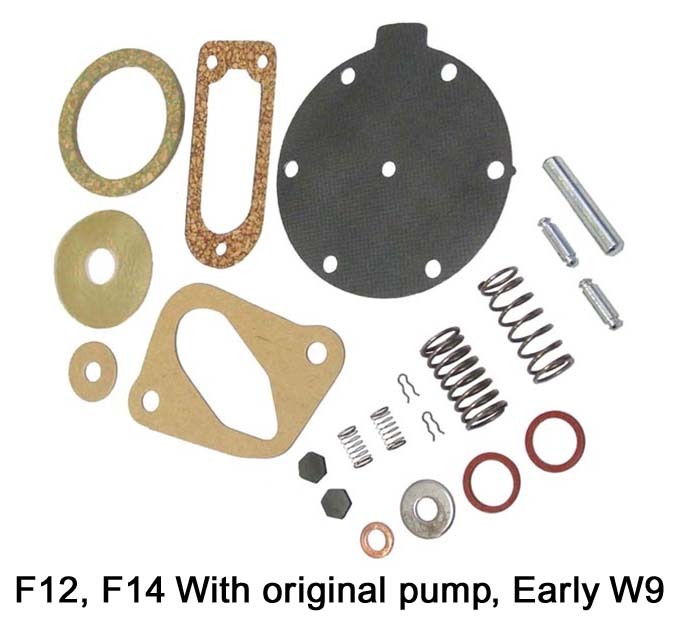 The original F12, F14, Early W9 and Early replacement AC fuel pump will have the number 24527D stamped on the side of the 2 bolt mounting flange. It can also be identified by the hair spring check valve and bolt together shaft and diaphragm. The early fuel pump repair kit contains: diaphram, mounting gasket, fuel bowl screen, fuel bowl gasket, pivot shaft, plunger, springs, retainers, and packing. 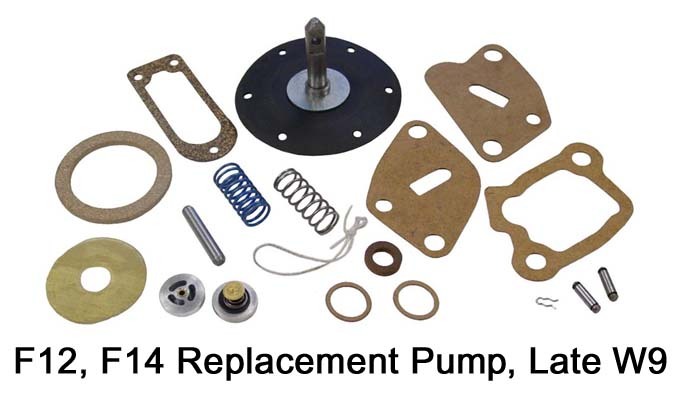 The late fuel pump repair kit contains: diaphragm with shaft, mounting gasket, fuel bowl screen, fuel bowl gasket, pivot shaft, plungers, springs, packing, and caged check valve.